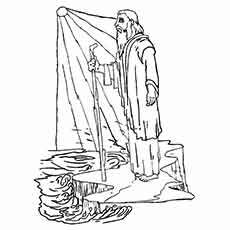 Moses is revered as the prophet in several religions, including Judaism, Islam and Christianity. 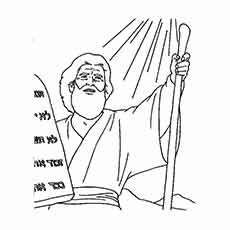 He is the administrator of the Old Testament. Moses was instructed by God to bring Israel out of captivity and communicate the commandments to the people. Religion is a topic that kids cannot focus on for very long. 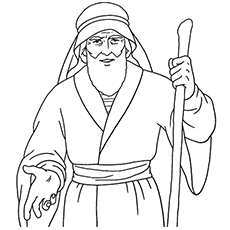 The best way to hold their interest is by providing them something interesting to work on, like Moses coloring sheets. 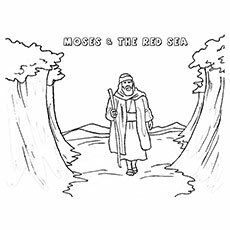 These Moses coloring pictures depict the important occurrences in Moses’ life like holding the tablets and parting the Red sea. 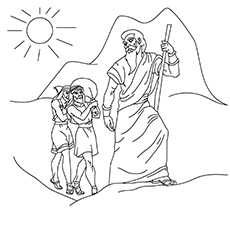 This coloring sheet features Moses, a former Egyptian prince, who later turned prophet, religious leader and the lawgiver. It is to Moses that the authorship of Torah is attributed. 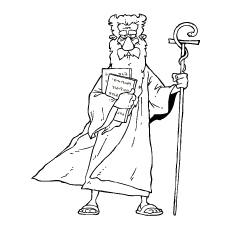 Moses was raised in the court of the Pharaoh in the Egypt. He aided in the liberation of the Hebrews from Egypt. 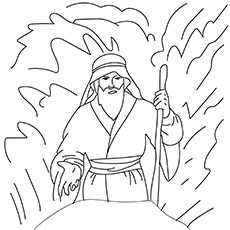 This coloring sheet is taken from the scene where Moses speaks to God from a burning bush. The bush was on fire, but was not consumed by the flames, hence the name. 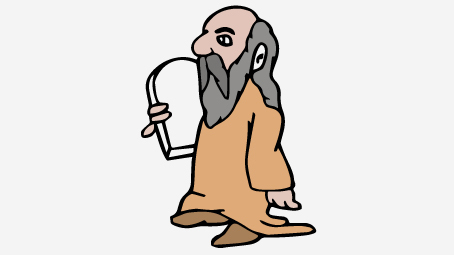 Moses was tending the flock of Jethro, his father in law in Horeb, where the Lord appeared to him in a flame of fire. 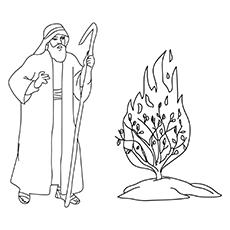 The burning bush represents God’s miraculous energy, sacred light and the burning heart of love and purity. 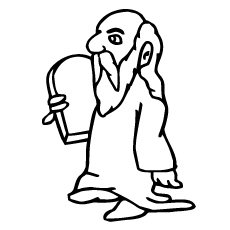 Moses was born at the time when the children of Israel were increasing in number. The Egyptian Pharaoh was worried that they might ally with the Egypt’s enemies, hence ordered to kill all the Hebrew babies. 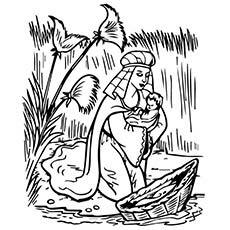 To save Moses, her mother hid him in a basket and set him adrift on the Nile. 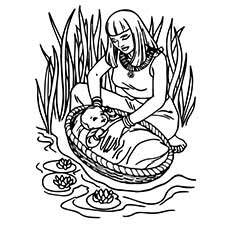 He was saved by the pharaoh’s daughter who adopted him. He later grew up in the Egyptian royal family. 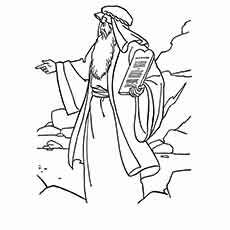 This coloring sheet shows the angry Moses breaking the 10 commandments tablets. He is enraged by the sight of Israeli children worshipping the Golden Calf and dancing around it. 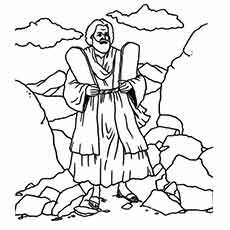 In anger, Moses threw the tablets and shattered them at the foot of the mount. His motive was to show the people that God could not be worshipped as a calf or as a set of tablets. 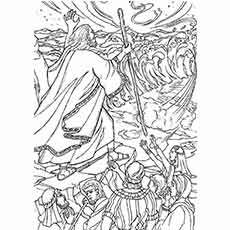 The coloring sheet shows Moses parting the Red sea, when the Egyptian Army traps the Israelites with mountain one side and Red Sea in front of them. 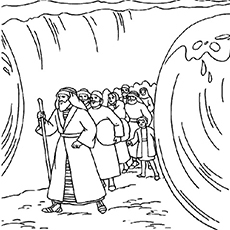 Moses then held out his staff and the Red Sea was parted by God. The Israelites walked on the dry ground and crossed the river. 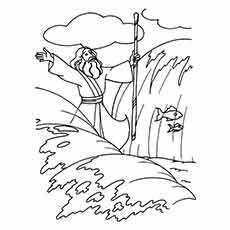 Then followed the Egyptian army, but Moses again moved his staff and the whole of the Egyptian army drowned in the sea. 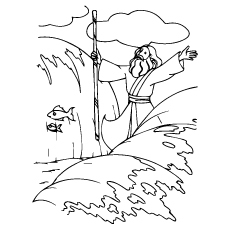 This coloring sheet shows Moses striking the rock, as commanded by God. He had promised to make the water flow in the desert for the common people. He raised his arm, struck the rock twice and the water gushed out. 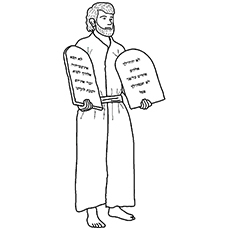 This coloring sheet features Moses holding the Ten Commandments tablets. These tablets are the two pieces of special stones inscribed with the Ten Commandments. According to Exodus, the tablets were made of blue sapphire stone. The sapphire is symbolic of the sky, the heavens and the God’s throne. You can also discuss the Ten Commandments with your child. 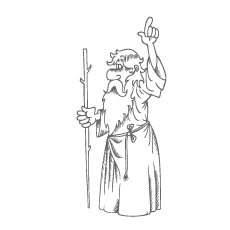 This coloring sheet features Moses receiving the Ten Commandments from God at Mount Sinai. 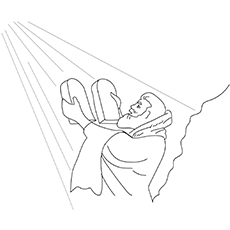 God tells Moses that he has been chosen to bring the Hebrews out of slavery. Moses then, with the help of his brother Aaron, obeyed God. 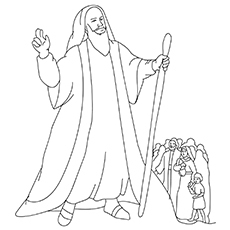 Ask your child to color this black and white diagram while you narrate the story of Moses. This scene is taken from the Battle of Rephidm when the Amalek fought Israel. During the battle, Moses noticed that when he held his hands up, the Israel prevailed and when he let his hand down, Amalek struck back. 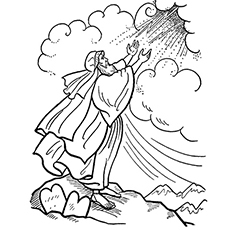 Moses arm had become so tired that he could not hold them up. Therefore, Aaron and Hur gave him a stone to sit down. They sat on each side of Moses, supporting his hands. Thus, his hands were steady until the Israelis secured victory. Joshua was an ally of Moses. 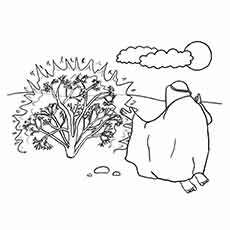 He had been with Moses ever since God led his people out of Egypt to the Promised Land. 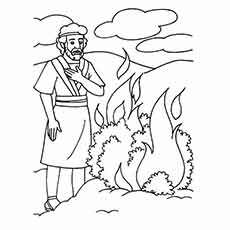 Joshua was one of the twelve spies that Moses sent to explore the land of Canaan. At the time of his death, Moses asked his disciples to appoint Joshua as the new leader of the tribe. 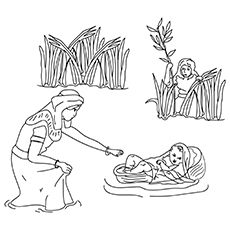 These free printable Moses coloring pages online will create a sense of awareness among children about the Biblical stories and the wisdom behind them. Hope you liked it. Share your thoughts on how this activity will empower today’s kids.